Excellent, GB. Perfect length and targeting. One to pass around. A Dutch publisher defended an assertion in a high school textbook that cash-strapped Britain’s support for Zionism owed to its desire to woo rich Jewish bankers. “Theme Workbook – The Middle East,” which is published by ThiemeMeulenhoff and intended for students attending pre-university secondary education — the highest scholastic track in the Dutch education system for minors — is “anti-Semitic,” Likoed Nederland, a pro-Israel local association named after the Israeli ruling party, said in a statement Wednesday. “The British government was in urgent need of money during World War I,” the history book reads on page 23, which explores the reasons for the Balfour Declaration. Issued in 1917 by the British minister responsible for the colonies, the declaration said that Britain viewed favorably the establishment of a national home for Jews in what would later become the Mandate over Palestine. “Jewish bankers were prepared to offer favorable loan terms if the government made a gesture toward the Jewish People,” the passage reads. The book also states that “the Holocaust led to the establishment of Israel” — a fact that Zionists dispute. Illuminati Jews Terrorize & Control Turkey? Damn it, Greg.. You "anti-semite", you!! I am not supposed to comment on this, due to Canada's draconian and ridiculous "hate crime" laws.. But all I can say is bravo!!!! "It's the IG Farben factory in Monowitz, a few miles away from Auschwitz that used slave labor from Auschwitz during WWII." This is a classic example of how stealth programming works on the mind. The workers at the Monowitz factory and other camps were NOT slave labor any more than present day American prisoners working for corporations are considered "slave labor." 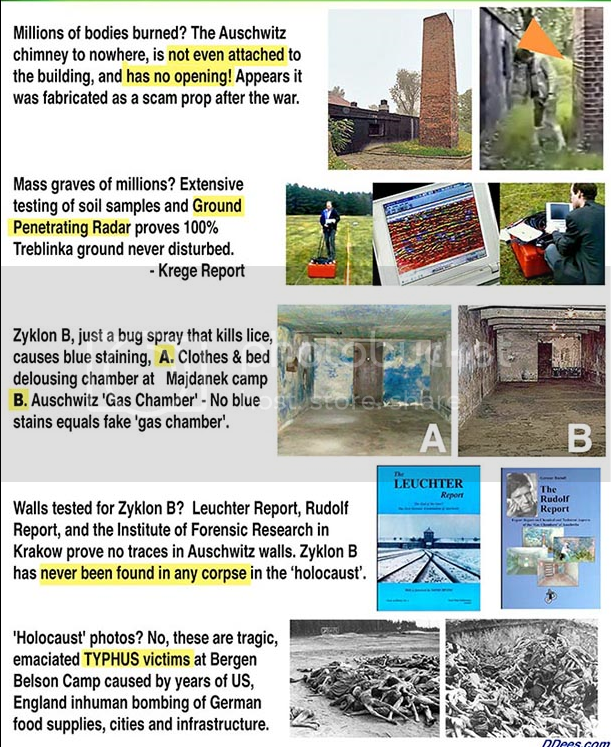 Concentration camp inmates were paid for their labor and there are many examples of existing camp script available on the web. In fact the Germans paid these prisoners at a much better percentage rate than present day American prisoners. Ydes, Unknown, the slave laborers were paid, but could not leave their place of employment or Auschwitz. That I consider to be slave labor. BTW, where's your blog? Or do you prefer to hide behind anonymity? Perhaps you have been watching the Hitler (History) channel too long. The idea of the German's using camp inmates as "slave labor" is a Jewish meme. Note Jews never refer to the inmates of their own sadistic Soviet gulag death camps as "slave labor". However, they were perhaps much closer to the definition than German camp inmates as they were not paid and were subject to summary execution by low level camp administrators, such as guards. Release was considered a joke, as few inmates of the gulag system thought they would survive their ordeal. The primary difference between slaves and prisoners is that slaves are typically enslaved/owned for life unless freed by their masters, whereas prisoners are incarcerated for a specified time period and then released. This highlights the other primary difference, slaves are not wards of a state, but privately owned by individuals. This has been the case throughout history. 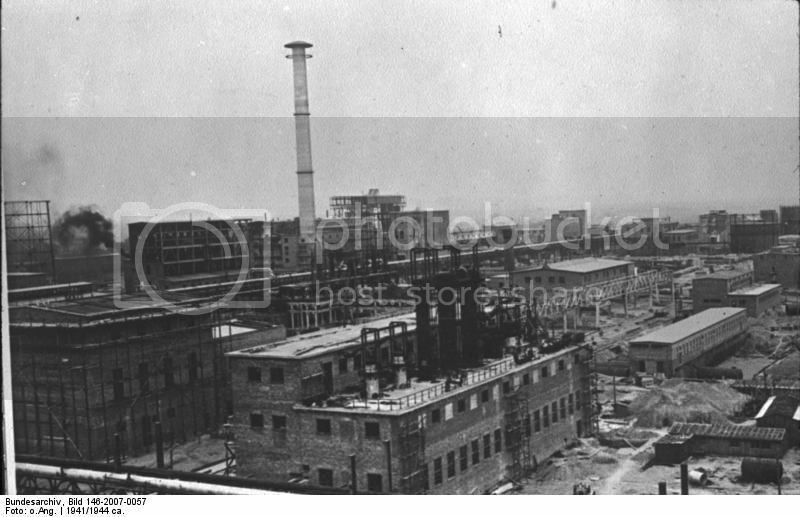 The inmates at the German camps were subject to release, which is why the sign said "Arbeit Macht Frei" Work makes one free. This was not a sadistic twist as the Jews might have us believe, but a fact of the camps. If one redeemed themselves and proved themselves productive members of German society, they were released. There are many documented cases of people released from the camps prior to the outbreak of war. Of course, the war changed that and camp inmates became incarcerated for the duration of the war as were the Japanese concentration camp inmates in America. The inmates at these camps were just that - prison inmates. Like prisoners in other countries, the inmates at the camps became wards of the state supervised and administered by the state. Of course wartime necessity was outside the normal prison routine as the Germans were fighting for their nation and their lives. Would you consider paid prisoners working for corporate America to be slaves? Boy Howdy! Wait until the "black-lives-matter" crowd hears that, we'll have another civil war. Of course, Jews will never allow that particular meme to circulate, as they are largely beneficiaries of the prison/police state. By the way, are you aware the very first mention of concentration camps is found in the book of Genesis? It is written that Joseph rounded up the Egyptians and put them in "cities". That's the same story were Joseph impoverishes and enslaves the Egyptian people while his "people", the Israelites, "lived off the fat of the land". "And Joseph bought all the land of Egypt for Pharaoh; for the Egyptians sold every man his field, because the famine prevailed over them: so the land became Pharaoh's. And as for the people, he removed them to cities from one end of the borders of Egypt even to the other end thereof." Why? It would be as if I was being told Santa Claus really does exist. At some point one needs to grow up and reject the nonsense we held dear as children. Or in your case as a child intellectually. "the Final Solution of the Jewish question.” was actually WORDS USED BY the Zionist leadership in Palestine when DEMANDING that Germany send a liaison to their HQ in Palestine to discuss "the Final Solution of the Jewish question.” Germany sent Adolf Eichmann because he was extremely bright, a Statesman, and grew up in a neighborhood of Jews - Hence, he was fluent in Yiddische and knew their customs, culture and religion. 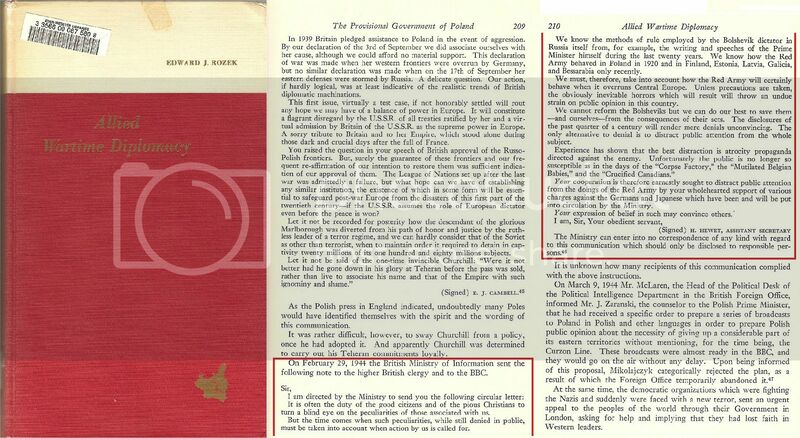 Eichmann came back to Germany with a 4-point Plan - conditions demanded by the Zionist leaders - that included 1. Germany must send the wealthiest Zionist Jews of Germany IMMEDIATELY; 2. The upper-middle class German Jews must be sent to Romania until the end of the war (this was 5-1/2 years before Britain declared war on Germany); and 3. The POOR and NON-Zionist Jews of Germany are to be sent to Auschwitz - for further disposition. See "The Transfer Agreement" by Jewish author, Edwin Black. I,for one, don't believe that the holocaust happened. It is an atrocity fabricated by England and the U.s. to hide what was really going on.